Touching coming-of-age drama about the trials and tribulations of a group of young gay friends. Kevin (Andrew Keegan) is new to the group, who all meet to discuss their relationships in Jack's (John Mahoney) restaurant. Then there's Howie (Matt McGrath) whose tendency to overanalyse winds everyone up; whilst Cole is a young thespian whose good looks keep the guys queuing at his door, and Patrick (Ben Weber) feels out of the loop, becoming bitter in his exclusion. To see how it should be done properly buy Priscilla, Queen of the Desert anyday of the week! Based on the life of Arnold Beckoff, a gay New Yorker who spends years trying to break his female impersonator's act into the mainstream, whilst becoming involved in a series of disastrous romantic liaisons along the way. He finally finds stability with a partner (Matthew Broderick), and they decide to adopt a child. Harvey Fierstein plays Beckoff, with Anne Bancroft as his outspoken mother. From cinema’s maestro of indie queer pop cinema, welcome to Gregg Araki’s messed-up world, a concrete jungle teeming with teenage lust, abundant drugs and all-out infidelity. Before Kaboom, Mysterious Skin and The Living End, there was TOTALLY F***ED UP. 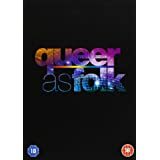 A film for anyone who has grown up gay and lived through the pain of alienation, this self-consciously cool story of the gay teen underground is New Queer Cinema at its edgiest – a humorous yet moving study of an unwanted generation. Starring James Duval (Donnie Darko), and featuring music from Wolfgang Press, Ministry, Ride, Pale Saints and The Jesus and Mary Chain. 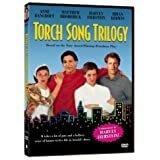 Aspiring musical writer and composer Gabriel (Christian Campbell) is not having much luck with either his career or his love life, and ends up spending most of his time with his bitchy friend Katherine (Tori Spelling). When he is advised to go out and get some real life experience, Gabriel visits a Manhattan gay bar and picks up hunky stripper Mark (J.P. Pitoc). The pair are soon heading off for a night of passion - except that Gabriel has nowhere he can take his one night stand! With a tour in Afghanistan behind him, war-torn Chris Jensen (introducing Jack Brockett) struggles to assimilate back to life in California. Drifting and living out of his car, he soon discovers that few are willing to deal with the remnants of a damaged career military man. Chris is self medicating; desperate to silence the echoes from the front lines. When an opportunity finally presents itself, he makes the hard decision to employ his most coveted talents honed in special ops. A job is a job and Chris knows civilian life can be just as cut-throat as time in active duty. But just how close does he have to get to Andrew Warner (Sean Paul Lockhart) to secure the kill?